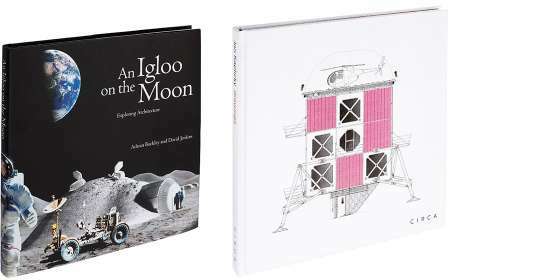 An Igloo on the Moon and Jan Kaplický Drawings have both won the Deutsches Architekturmuseum (DAM) Architectural Book Award. Bestowed jointly by the Frankfurt Book Fair and the Deutsches Architekturmuseum, the Award honours the best architecture books of the year. Now in its seventh year, the prize is the only one of its kind. This book explores how and why we build and in the process covers all of history and goes all over the world. In doing so it creates a visual story, which is absolutely compelling for children and adults alike. The book is a treasure, because good architecture books for children are more than rare. This carefully produced book reveals the whole beauty of Kaplický’s ink drawings and photomontages from a pre-CAD and pre-Photoshop era.